To celebrate this year’s National Table Tennis Day, I thought I’d share a bit of table tennis love. We table tennis players, coaches and fans all know that table tennis is the best sport in the world. But there are some unbelievers out there who need converting. So I’ve written a list. What better way to convert someone than with a list! I could have written a much longer list, but to spare you all my over-exciting ramblings, I have restricted myself to a list of 9. So, in no particular order, here’s my 9 reasons why I think table tennis is the greatest of all sports. 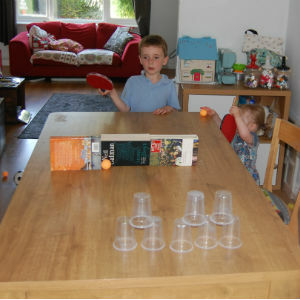 All ages play table tennis. Go to any club and you’ll find young and old. But the best thing is that different ages compete equally with each other. A 78-year-old can beat a 28-year-old. A 10-year-old can make a grown man cry. Table tennis is not all about ‘power’. You need good technique, good touch and good tactics to win. Players with less physical strength (young and old) can compete equally with players in peak physical condition and give them a good thrashing! It doesn’t cost much to play table tennis. You can get a good starter bat for £20-£30 and away you go. Actually I’d say table tennis is a “classless” sport. 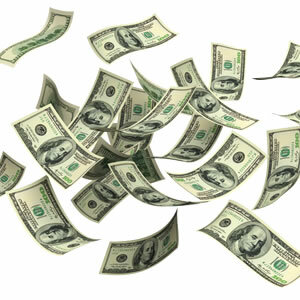 Walk into a table tennis hall and you wouldn’t be able to say who is rich and who is poor. We all look equally naff in our sweaty t-shirts, baggy shorts or tracksuit bottoms. No one cares about your background, whether you’re a millionaire or have no job at all. All that matters in the table tennis hall is table tennis. Ok, I may be overstating things here, but table tennis is a truly international sport. Everyone plays it. My knowledge of other countries and cultures has broadened. I feel a warmth to my overseas friends and part of an international community. Want world peace? Give all our politicians and diplomats a bat and get them to play table tennis together. If you’re looking for something easy, try one of those sports with the big rackets and huge courts (e.g. tennis, squash or badminton). It’s harder to miss than actually get the ball in court! Table tennis is much tougher. We play with small bats and a small ball on a small table. The margin for error is tiny. Get you bat angle or contact or placement slightly wrong and you have messed up. Table tennis is difficult. It’s addictive. It challenges your brain. It challenges your body. It takes a long time to get really good at it. If you want a proper sporting challenge, table tennis is the sport for you. No matter how good you think you’re getting at table tennis, there’s always a higher standard player who can make you feel like a beginner. Table tennis isn’t a sport for egos, as we all know that there is a stronger player who can make us look silly. How do we deal with this? We respect each other. We encourage each other. We learn from stronger players. When we win, we don’t over-celebrate in the other player’s face. 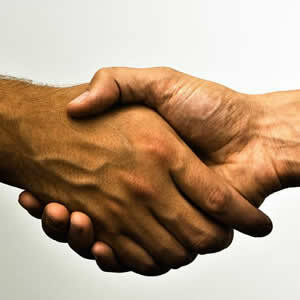 No, just a modest handshake, a nod of the head and an internal sense of relief. Next time, the result might not be so good! Table is fast. Super-fast. The ball can travel up to 100kph. In other racket sports the ball also moves fast. In table tennis, players are very close to each other (only 3 metres apart). This makes everything feel so much faster. You need quick feet, quick reactions and a quick brain. 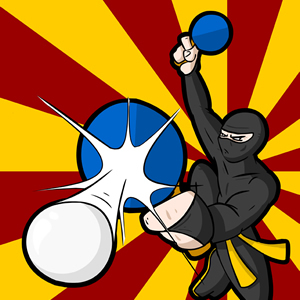 You basically need the speed and coordination of a ninja warrior. There are few things more satisfying in life than taking part in a fast table tennis rally, where you and your opponent are playing awesome topspin shots and the ball is switched from side to side and somehow you manage to summon all your ninja strength to finish the point with a beautiful forehand topspin down the line. 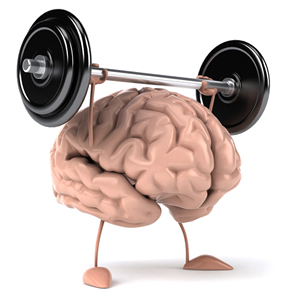 There is an increasing body of evidence that suggests playing table tennis keeps your brain healthy. Secretly, we table tennis players know our brains are a bit sharper compared to the cavemen grunting away in other racket sports. But now science seems to be backing up our suspicions. It’s all to do with stimulating the hippocampus in your brain apparently. I’m not really too sure what this means. I’m not a scientist. But I trust scientists. 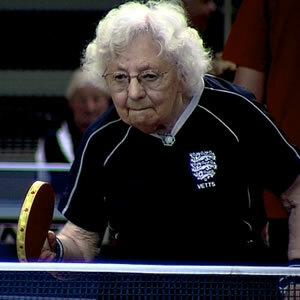 And if they say table tennis is good for the brain, I’m not going to argue with them. Life can be stressful. School, work, relationships, family – at some point or another things can all get a bit too much. Enter table tennis (or to be fair, any sport). You pick up your table tennis bat, start hitting a few balls and for a couple of hours forget all about your worries. But it’s more than that. When you exercise, endorphins are released, which trigger a positive feeling in your body. By the time you finish your table tennis work-out, you feel great and have a renewed vigour to tackle life’s problems. Thank you table tennis. Table tennis is a sport on the rise. Tables are springing up everywhere. Tables in parks. Tables is bars. Tables in shopping centres. Tables in train stations. Tables in conference halls. Tables in sports centres. And of course, lots of tables in table tennis clubs all over the world. There is always somewhere to play table tennis (click here to find a venue near you). Even if there isn’t a table near you, you can improvise. You just need some sort of wooden surface and something which resembles a net. The picture above shows an example. This is my household. The kids and I are having an impromptu game of “knock down the plastic cups” on the dining room table, with three books for a net. The boy is five and the girl is one. The plastic cups took a battering. If you want to spread some table tennis love, please share this blog post on Facebook or Twitter. National #TableTennisDay is a special day when the table tennis family can come together to celebrate and promote all that is great about our sport and – most importantly – have some fun. This year’s table tennis day takes place on on Wednesday July 12th, 2017.